Are you up for a monthly baking challenge? Here’s your chance to bake along with me. Each month around the 1st, I’ll be posting here and sending out an email to let you know what the challenge is and the winner of the previous month. You can sign up here to start receiving the emails so you don’t miss out. In order to participate, you’ll want to join the Facebook Group Cookie Dough and Oven Mitt VIP Lounge. This is where you’ll submit your snapshot of the recipe. You’ve been challenged! This months recipe is for Cream Cheese Carrot Cake Cake Pops. They’re the perfect dessert to get you in the mood for spring and Easter. The carrot cake recipe is homemade. It’s crumbled up and mixed in with cream cheese. This isn’t part of the baking challenge, but I also have this Carrot Cake with Caramel Frosting recipe that is AMAZING. 1. 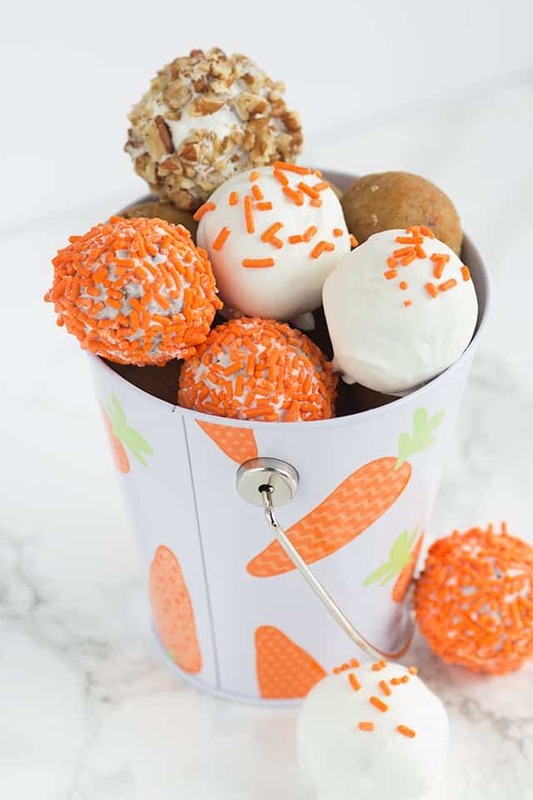 Create the cream cheese carrot cake pops recipe linked above. 2. Snap a photo of it. 3. Share your photo in the Cookie Dough and Oven Mitt group with the hashtag #bakingchallenge by March 31st at 11:59 PST. You’ll have to request to join the group if you haven’t already. 4. (OPTIONAL) Click this link and then comment and honestly rate the recipe for me by scrolling to the bottom of the post. The prize is one $50 Amazon gift card. No purchase necessary. This prize is open to everyone. The winner will receive a digital Amazon gift card code to enter into their Amazon account. I’ll be randomly selecting a winner and will be contacting them via the Facebook Group. I must hear back from the winner within 48 hours or I’ll pick a new one. 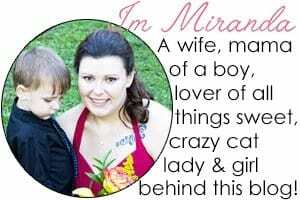 I may share the photos with my audience. If you’re not okay with this, please don’t enter.